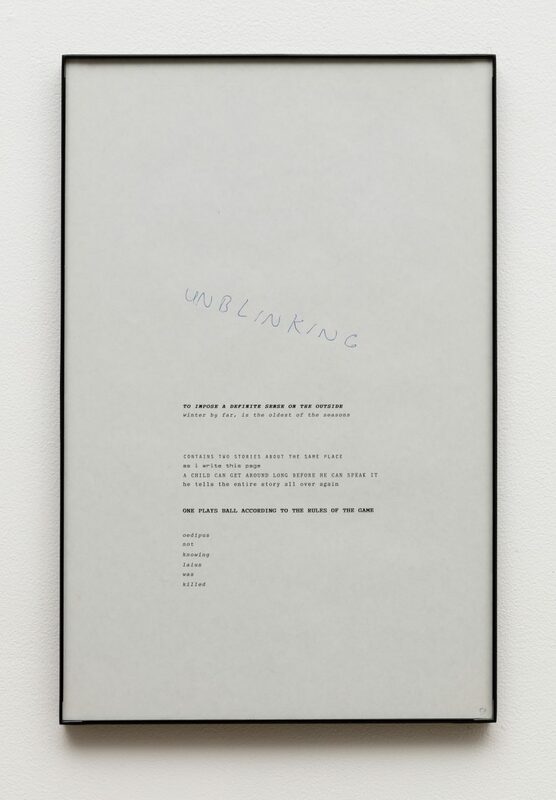 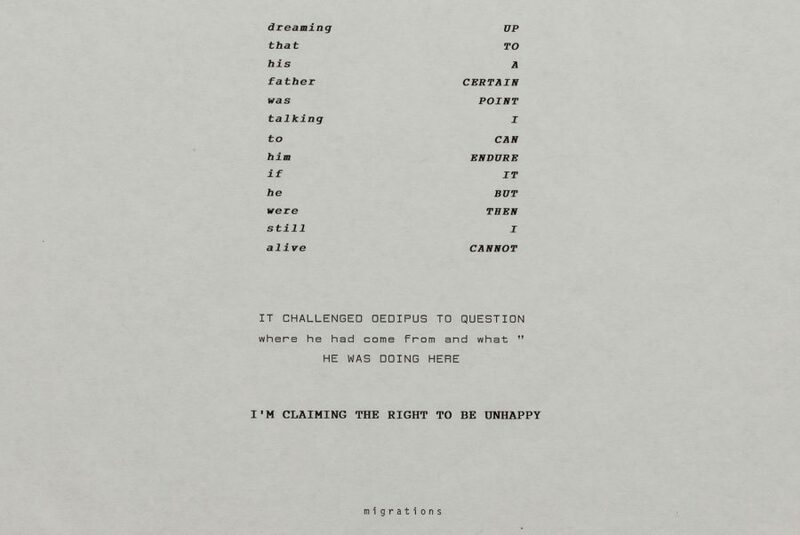 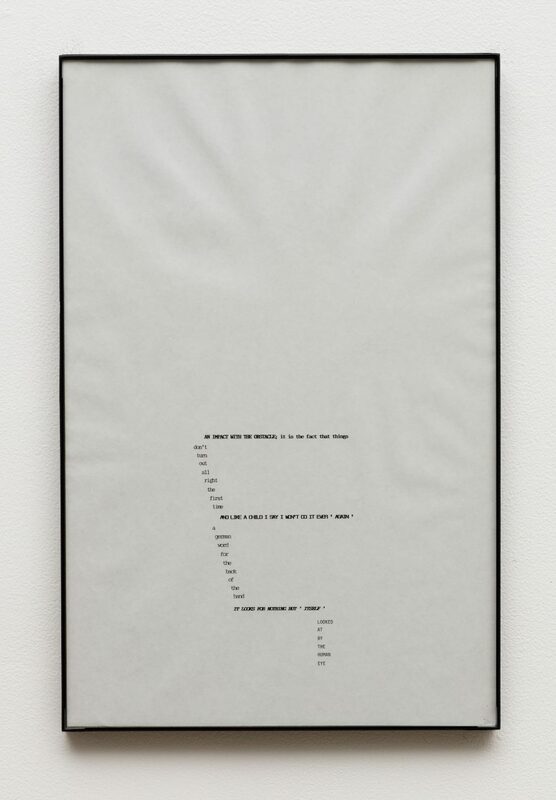 The Selectric Works, made during a period between 1988 and 1990, are part of Goldstein’ practice of writing and making text-based works, following the production of his one-line Aphorisms and the basis of his well-known typographic portfolio, Totems. 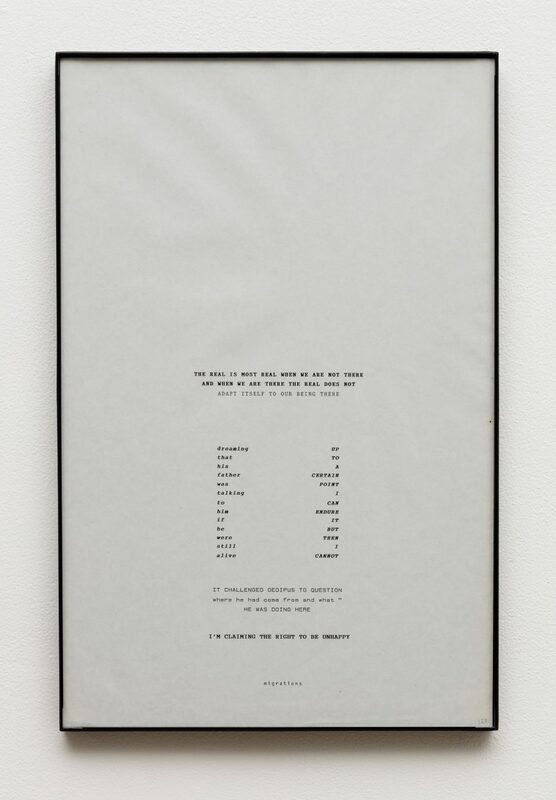 The name Selectric given to these works refers to the ‘80s era IBM electric typewriter that Goldstein used to make them, a machine characterized by its rotating type mechanism, an interchangeable ball which gave one the ability to choose various font and typestyles. 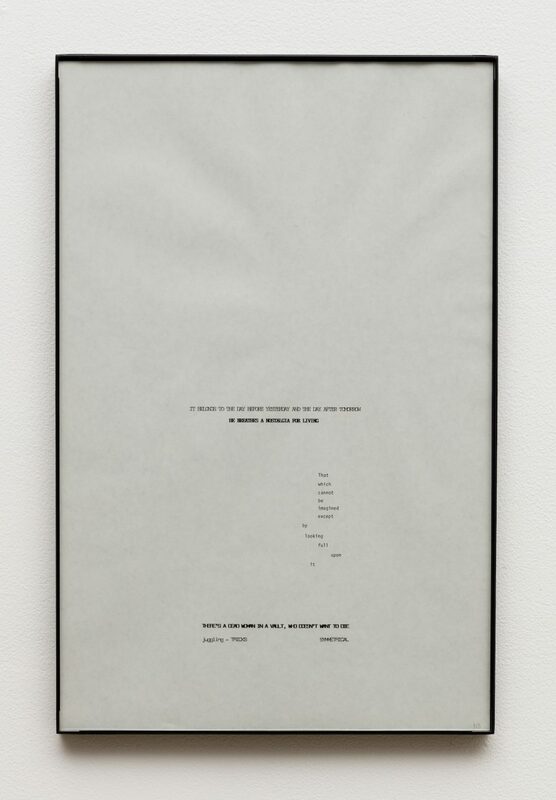 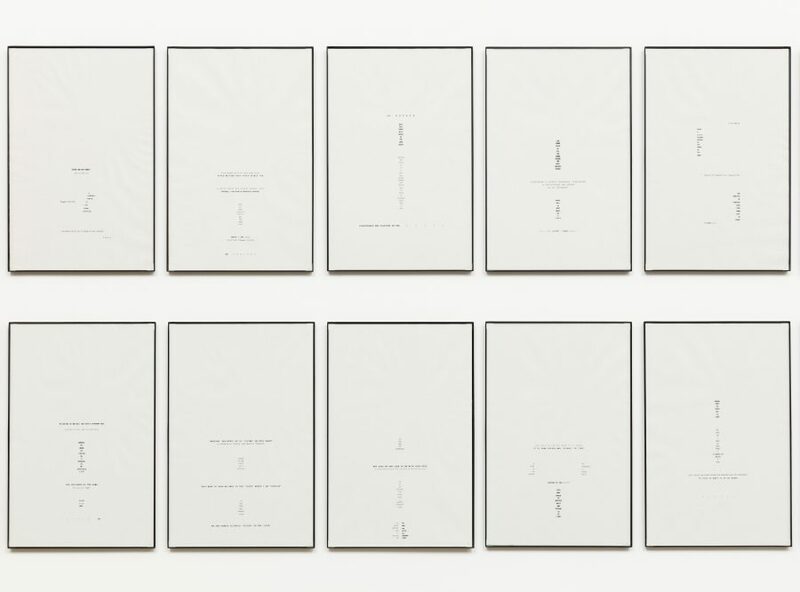 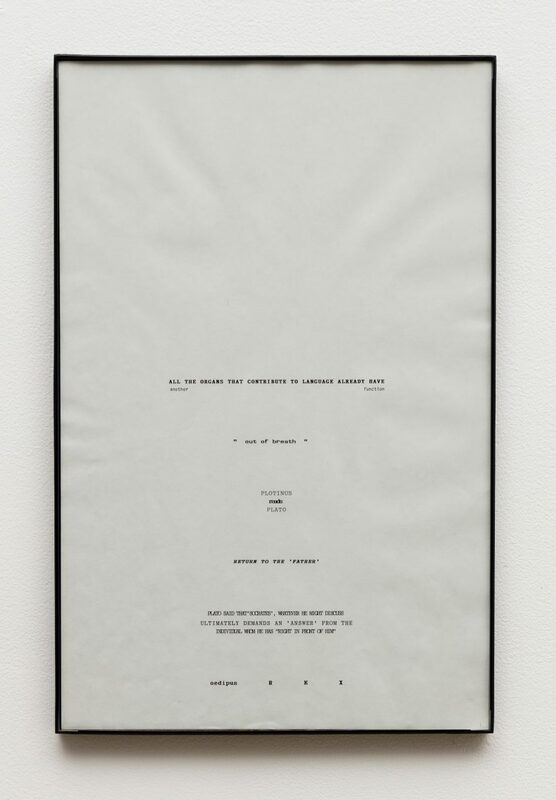 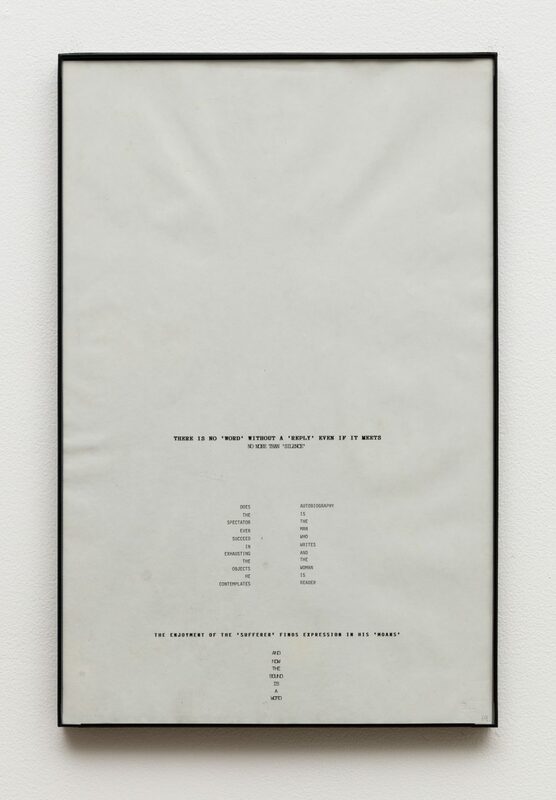 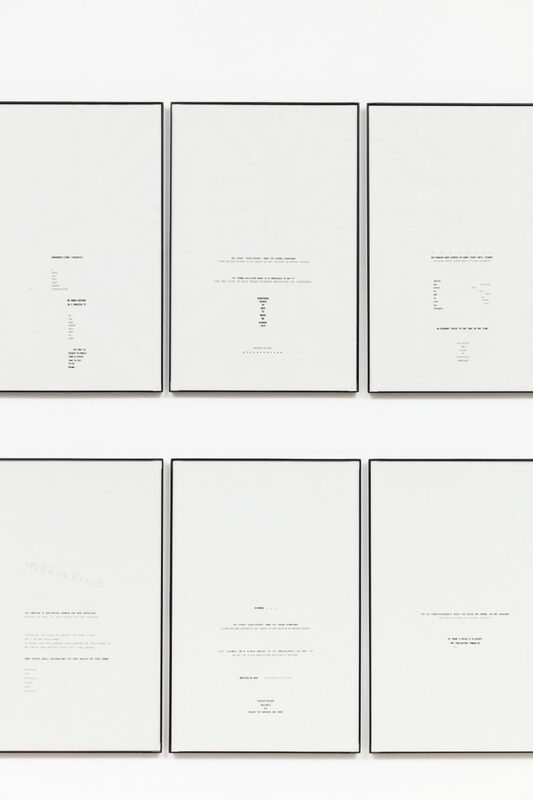 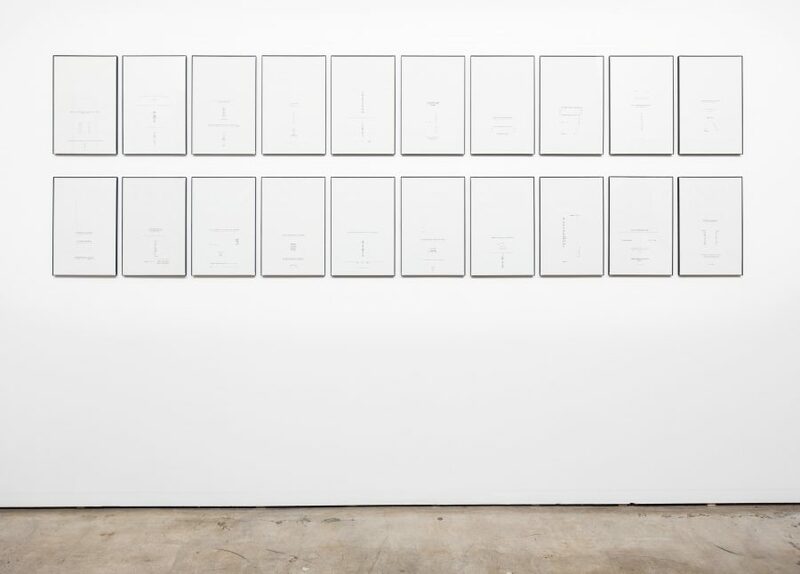 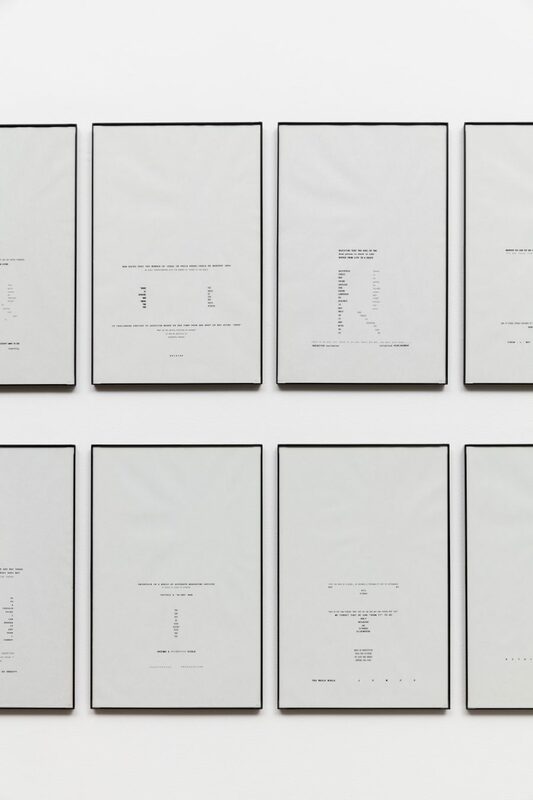 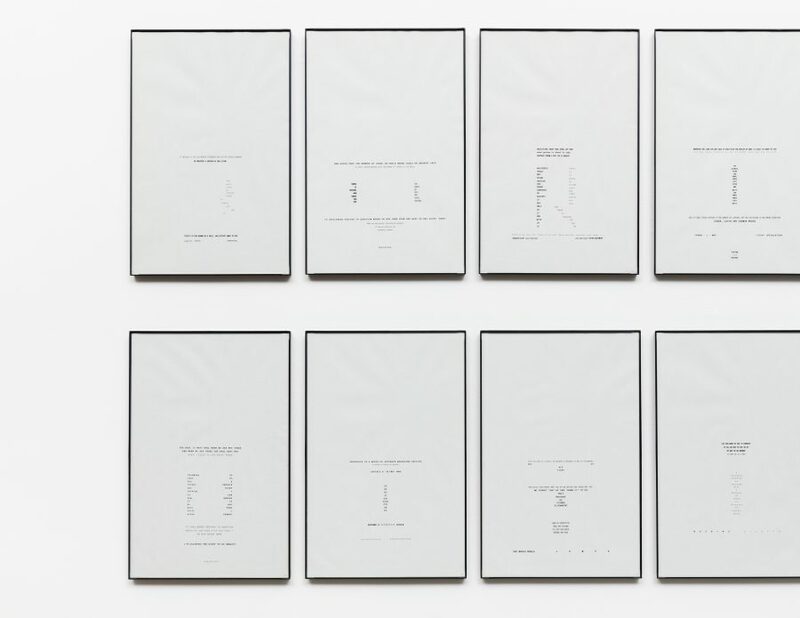 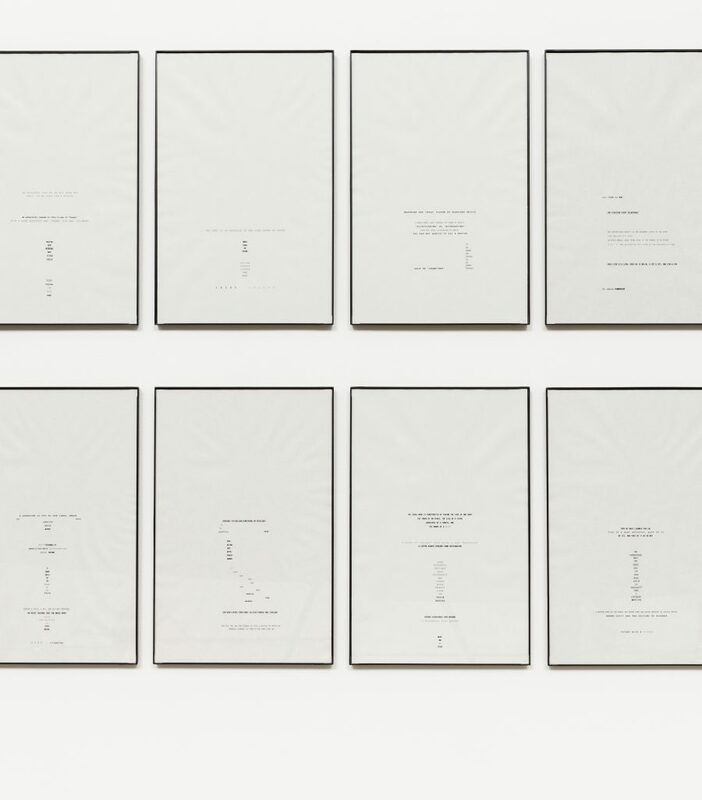 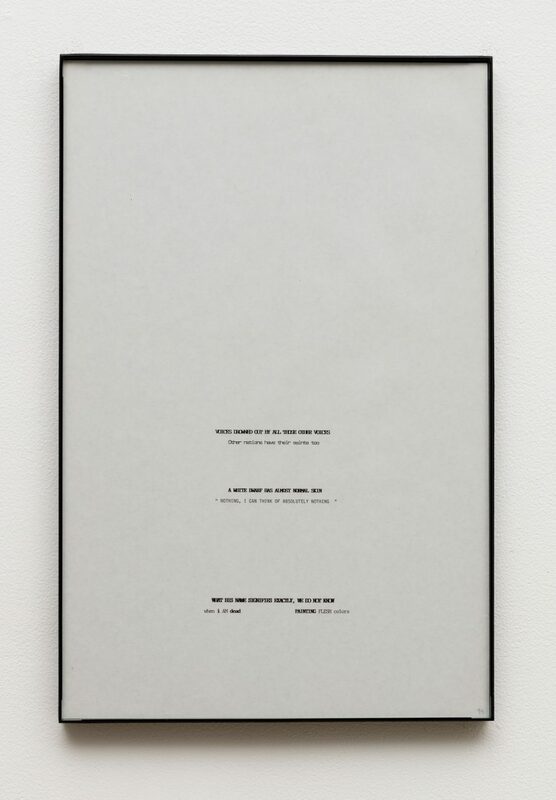 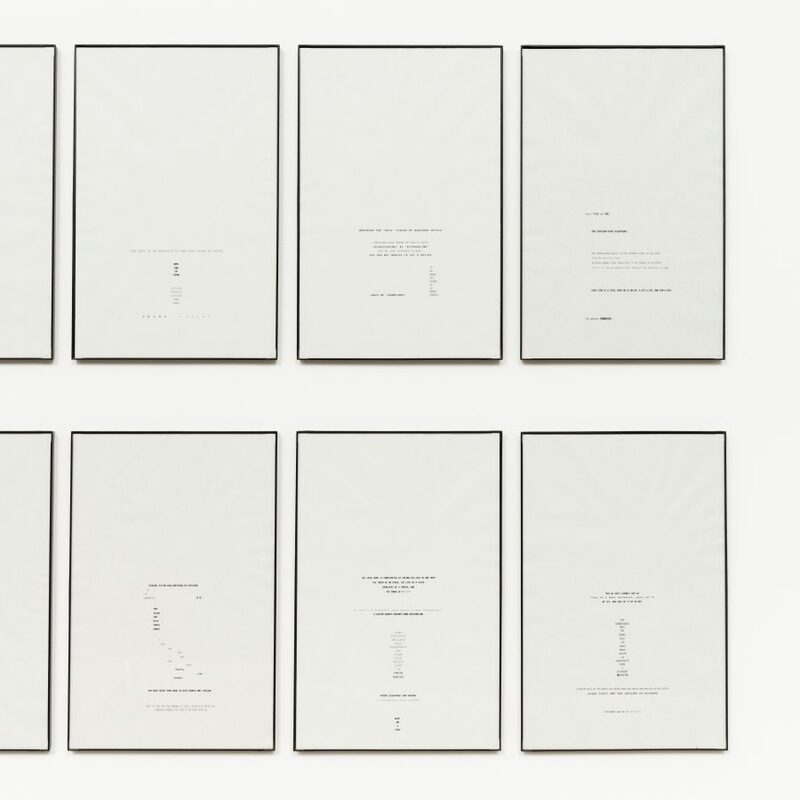 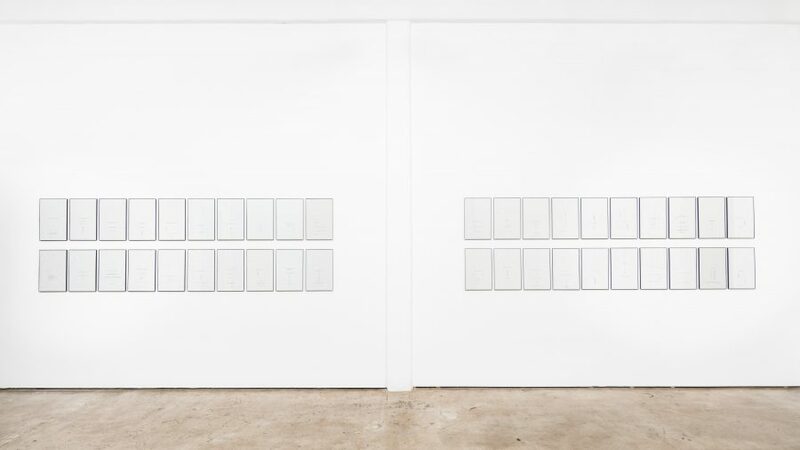 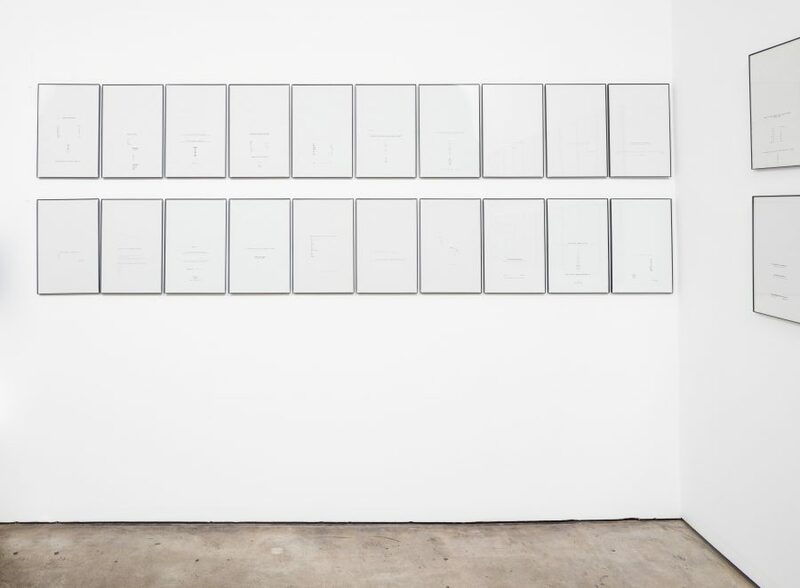 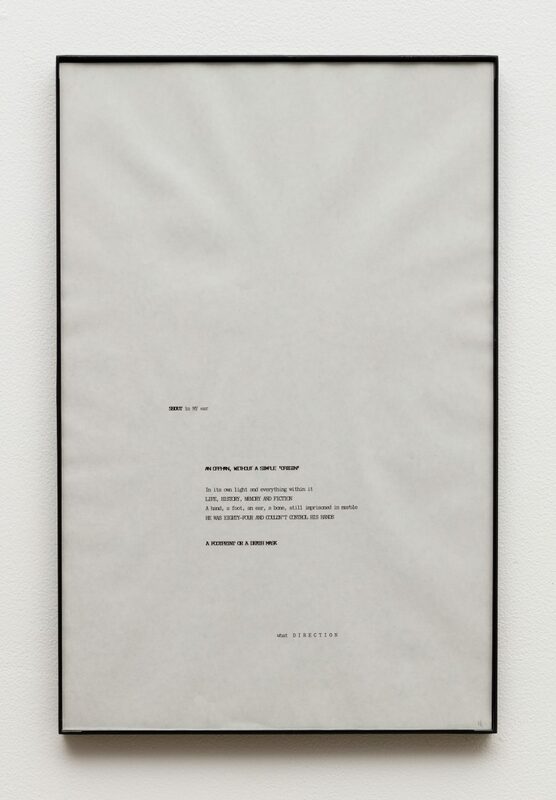 These works centered on 17 x 11-inch sheets of paper introduced a graphic component into his textual work. 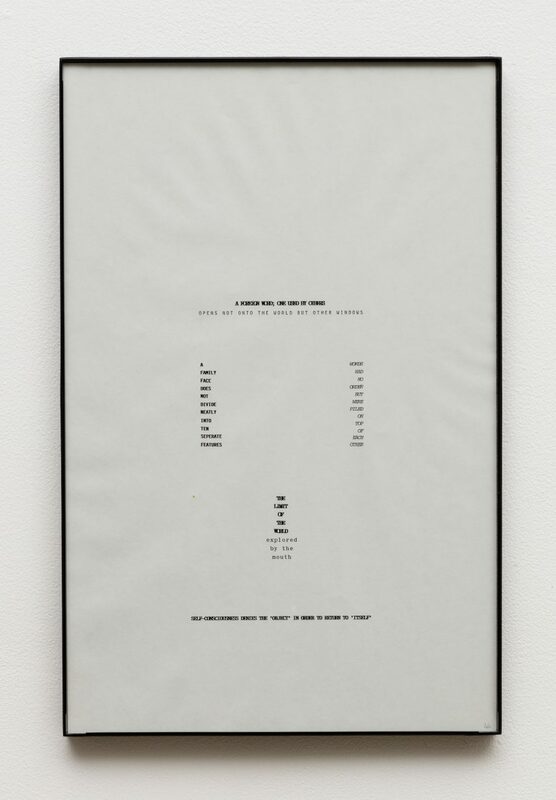 Jack Goldstein (1945-2003) is increasingly seen as one of the most important yet most enigmatic artists of his generation. 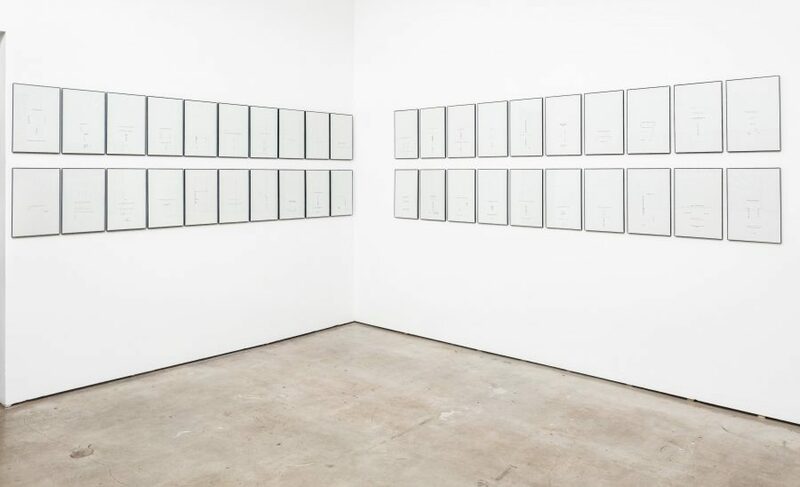 A major survey show of his work Jack Goldstein x 10000 curated by Philipp Kaiser was presented at the Orange County Museum of Art, Newport Beach in 2012 and traveled to the Jewish Museum in New York City in 2013 (catalog). 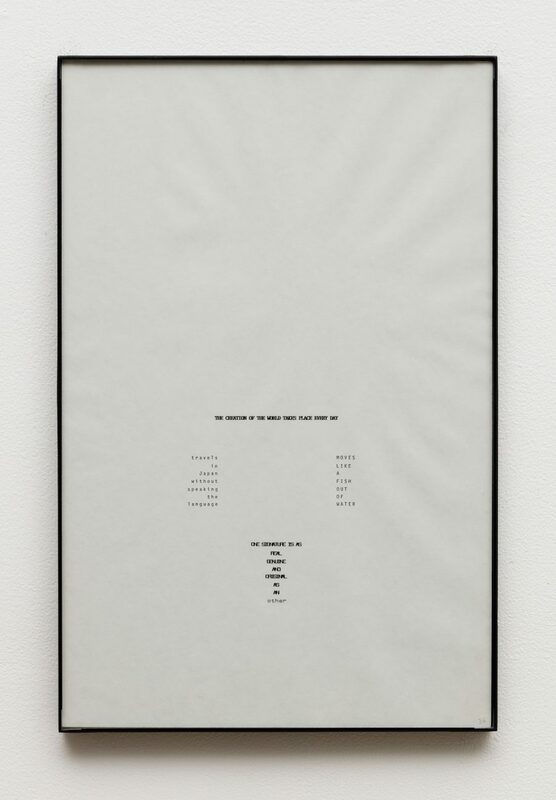 Other important solo exhibitions include a retrospective at the MMK Museum für Moderne Kunst, Frankfurt (cat.) 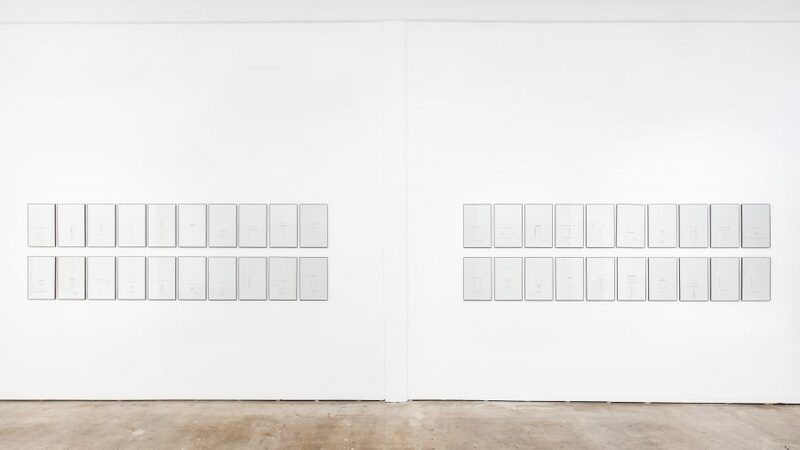 in 2009, Le Magasin, Centre National d’Art Contemporain, Grenoble (cat.) 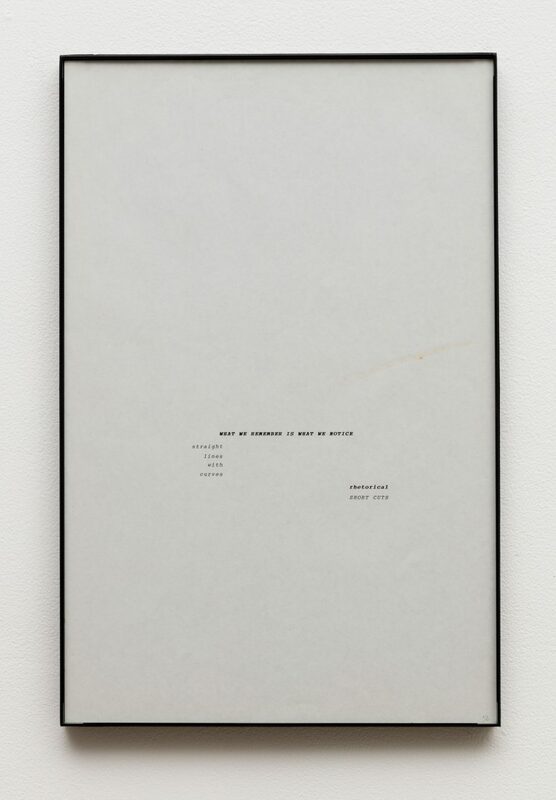 the Whitney Museum of American Art, New York, the Luckman Gallery, Cal State, Los Angeles, and the Kunstverein in Hamburg and all in 2002, the year before his death. 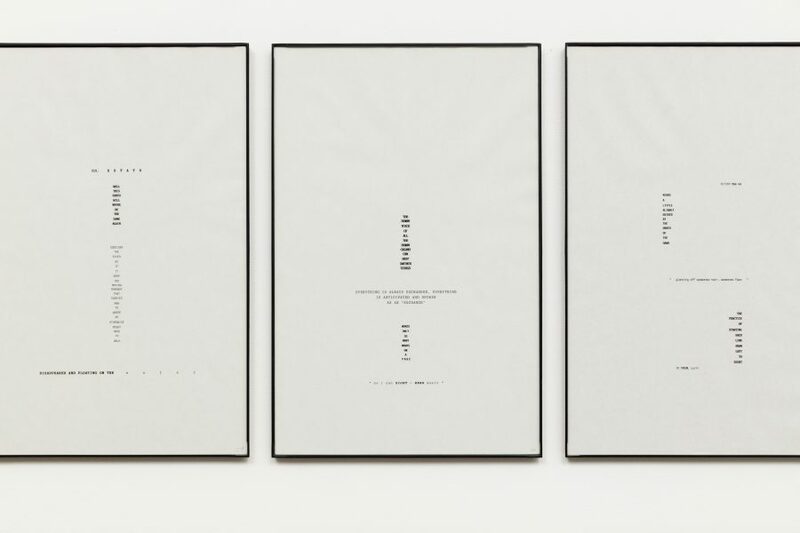 Goldstein’s work has recently been included in the Gwanju Biennal, Korea (2014), the 54th annual Venice Biennale (2011), Pacific Standard Time: Los Angeles Art 1945-1980, Pomona College of Art (2011), and Pictures Generation: 1974-1984 at New York’s Metropolitan Museum of Art (2009). 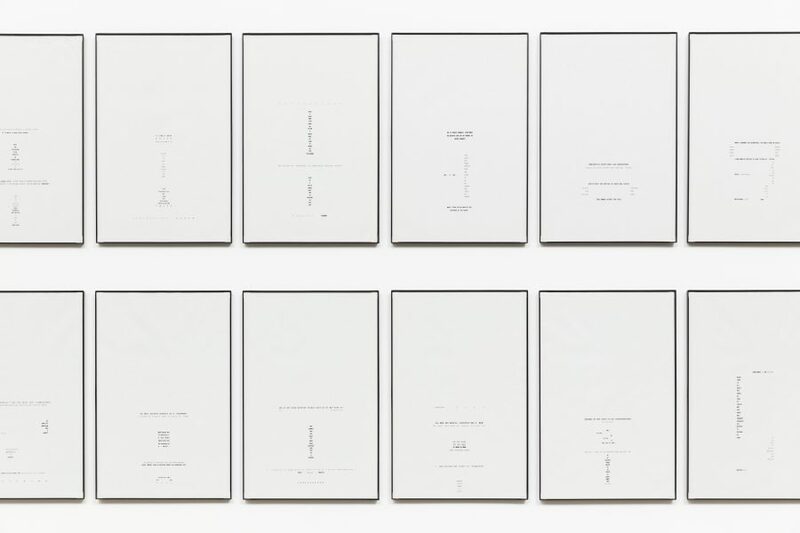 A catalog Jack Goldstein x 10000, 2012 published by Prestel and featuring an interview between Goldstein and artist Meg Cranston is available. 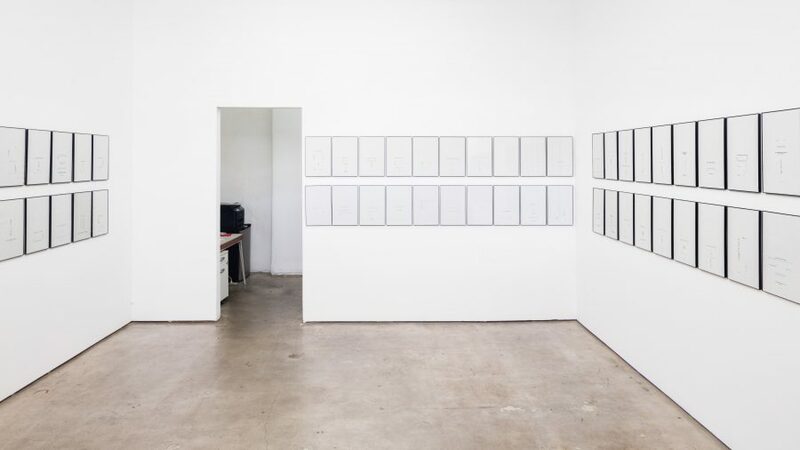 Special thanks to Helene Winer and Metro Pictures, New York.